After a relatively mild few days from midweek , ECM 12Z showing it to cool down again over next weekend and looks unsettled as an area of LP coming out from Canada passes over us brining in a cold air mass and possibly producing some wintry weather from a N and NE direction in the early days after next weekend. Will see if it materializes . Last edited by Meteorite58; 23-03-2019 at 20:11. Farmers might need to keep an eye on forecasts next week if the sheep are out in mountainous areas. 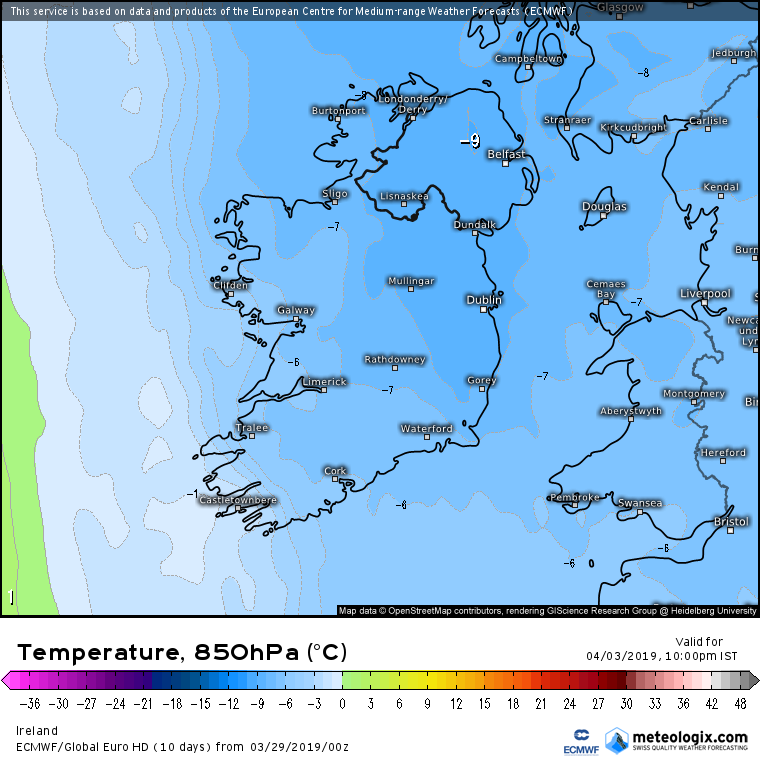 After Tues precipitation levels look light enough atm but would need to watch for the bit of ninja snow. An easterly flow of air looks like dominating us later this week into the second week of April but dry conditions and cool to average temperatures. Very benign and maybe damp in nature especially in eastern coasts I would think. 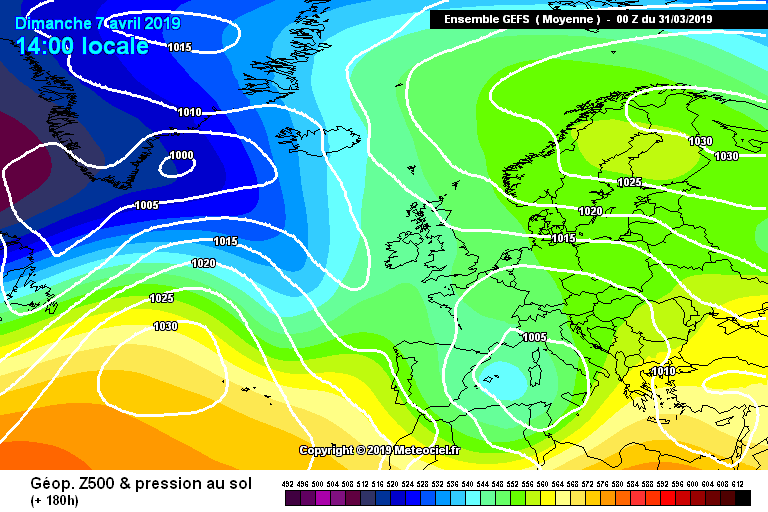 ECM ensembles are strongly in favour of the easterly, the GEFS not as favoured. 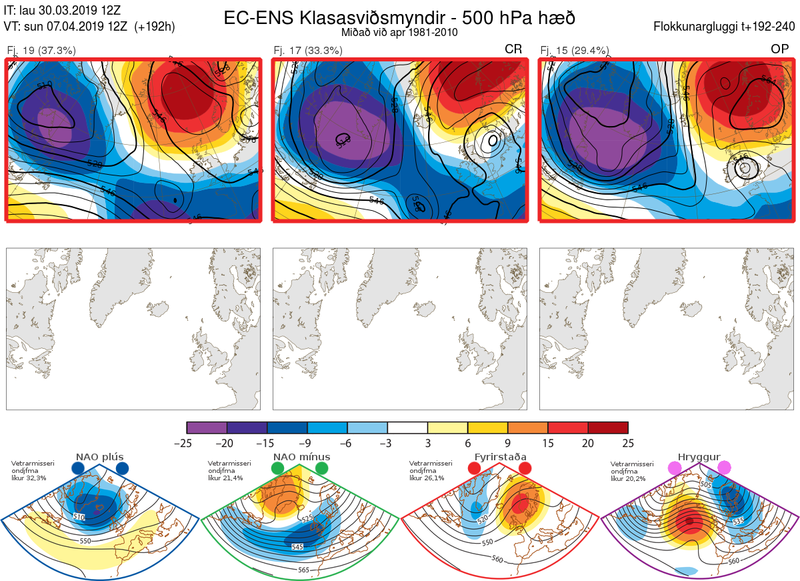 EC Clusters from last night show different variations of the easterly with an anticyclone over Scandinavia or to the north of us. The most popular scenario #1 is the most similar to this morning's ECM ensembles, #2 is a little more unsettled whilst #3 is similar to #1 but a bit more anticyclonic. Overall, very benign outlook with no sign of a return to the zonal conditions that we had through the first half of March. ECM a bit of a cold outlier but funny all the same and with NAO and AO forecast to go Negative we could get a nice Easterly, just a pity it isn't January!! 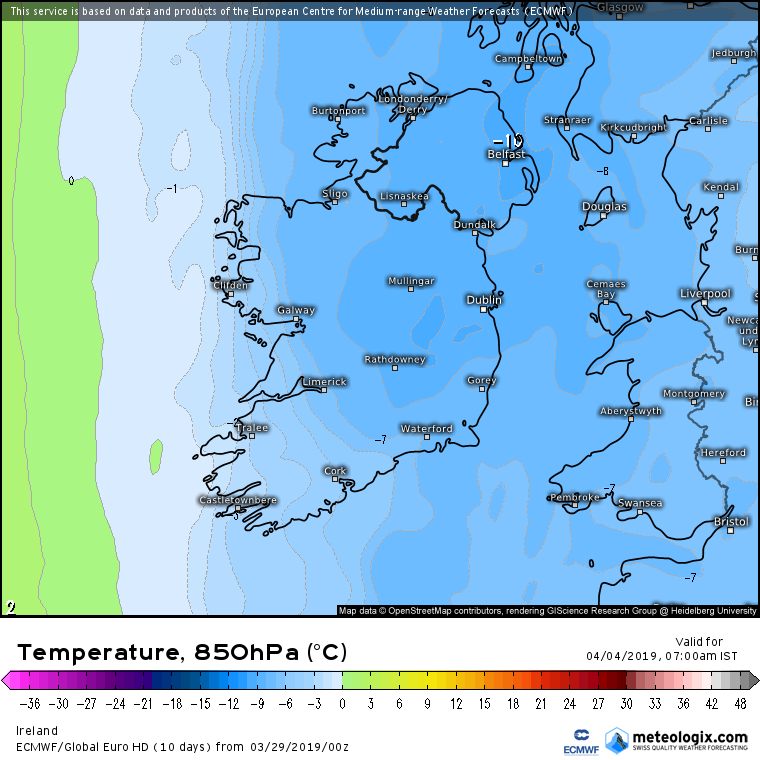 After a relatively milder few days next week looks like trending cooler again . 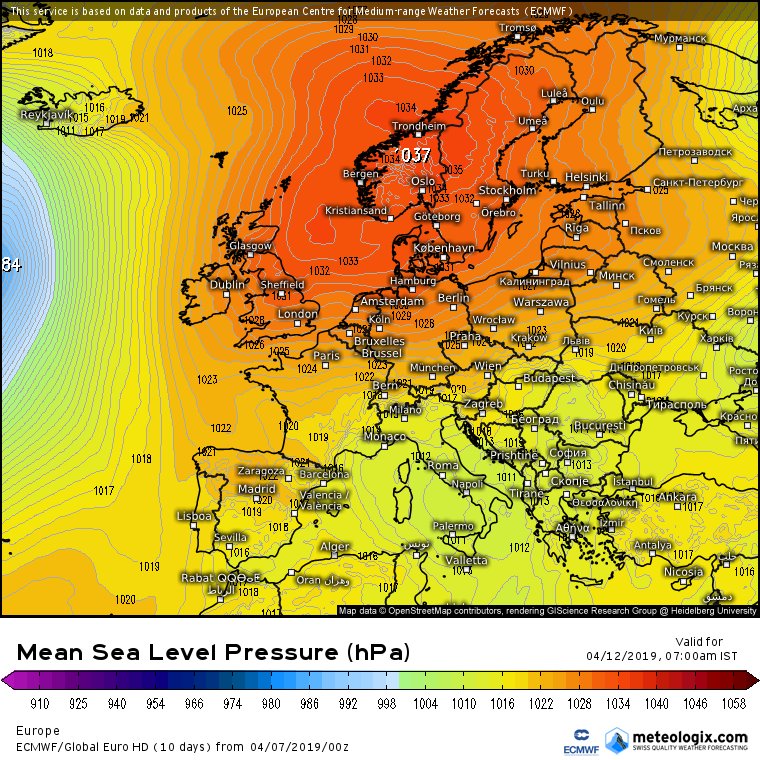 How is the weather for the week from Monday April 15th looking at this stage? How's it looking +10 days in advance? You won't get an accurate answer. 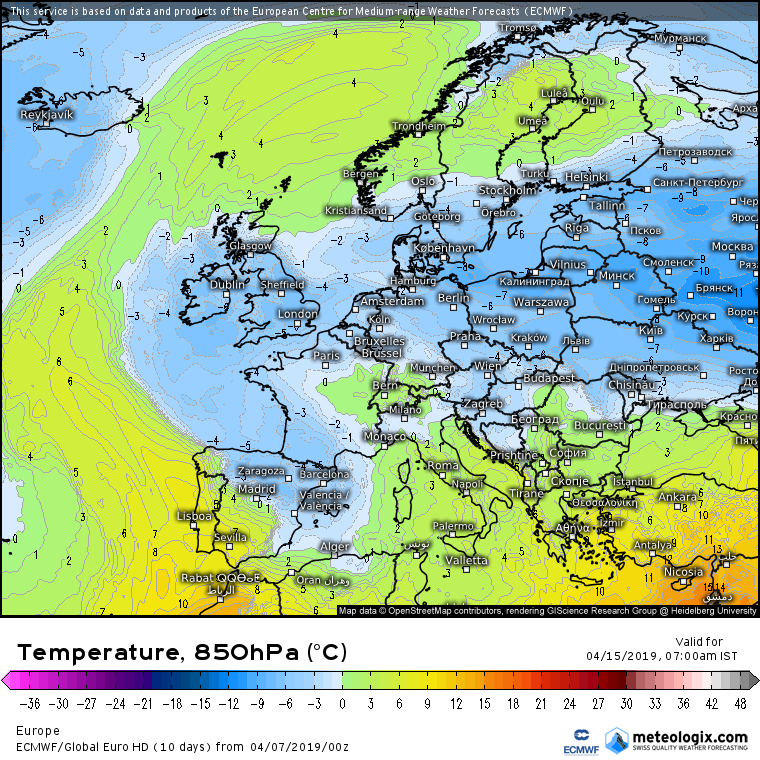 Models flip flopping atm , not all cold according to todays ECM with warm temperatures next week end. 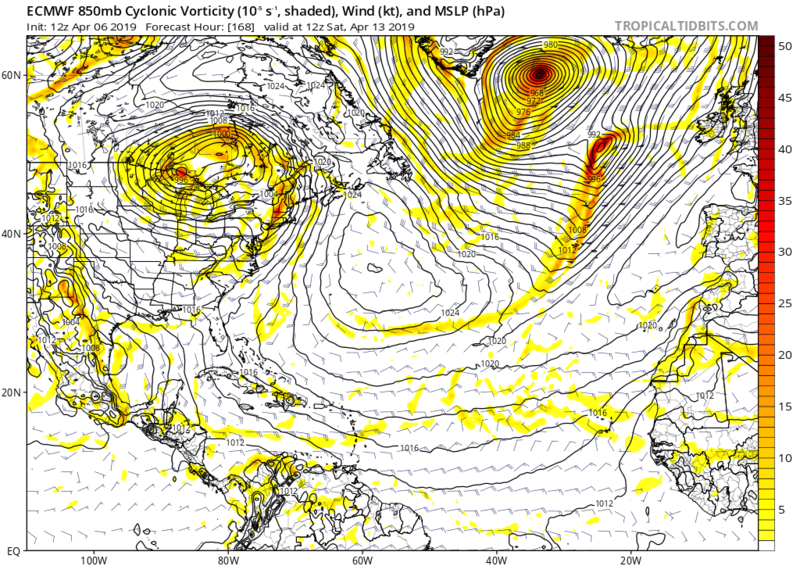 All depends on how the areas of LP develop and their position in the Atlantic and how much warm air they drag up from the S. Looks like it is going to be hard to predict weather past 5 days or so for a time. 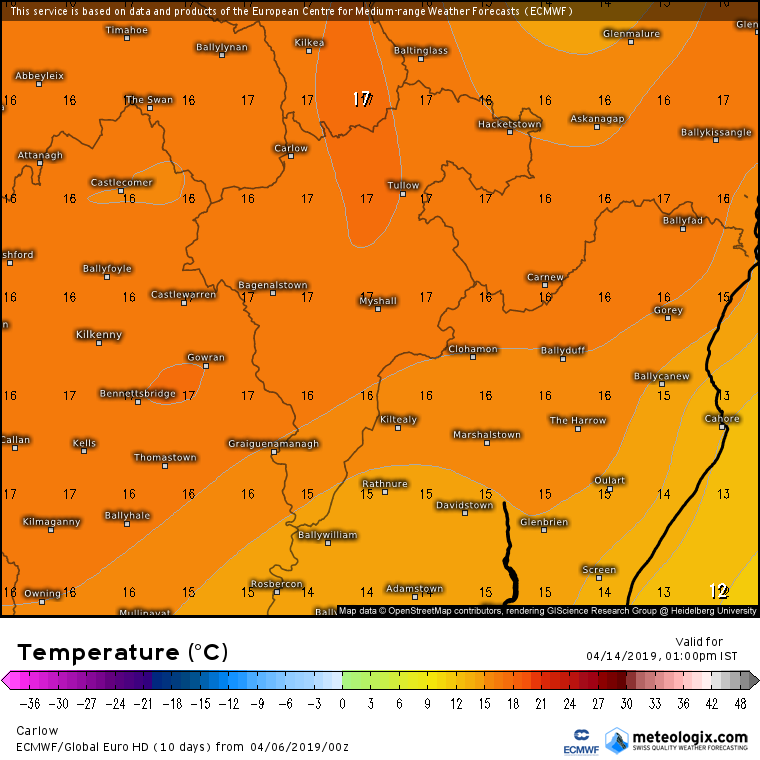 ECM holding the warm look for the coming weekend, even warmer on the latest run showing it getting up to 18C next Sunday. Long SW'ly fetch with warm humid air sourced from the Azores. We will see if it holds. 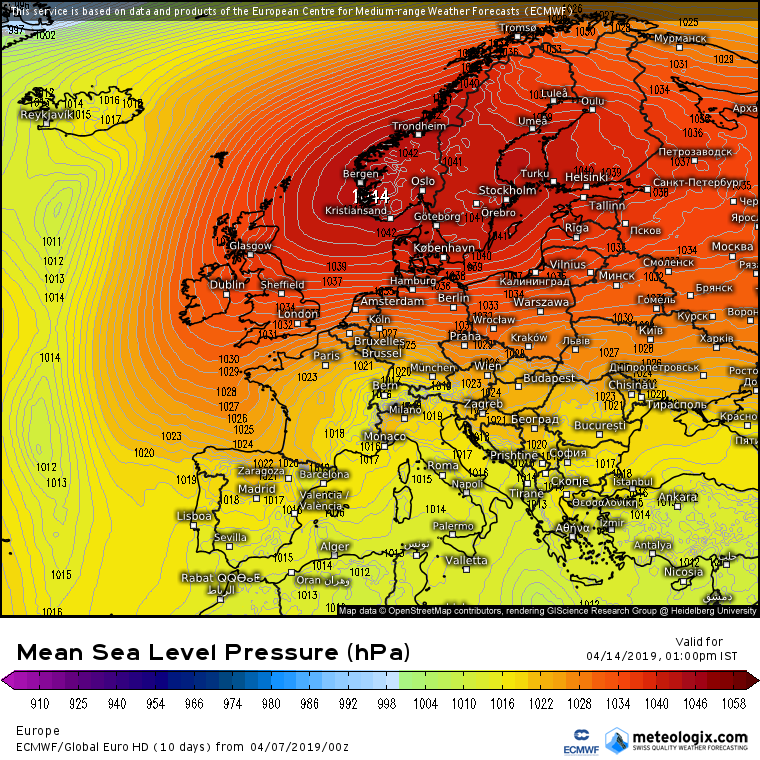 Battle going on next weekend between the Atlantic weather and HP centered over Scandinavia with us on the fringes as usual , latest ECM 0Z run shows the HP keeping out a lot of the Atlantic weather. 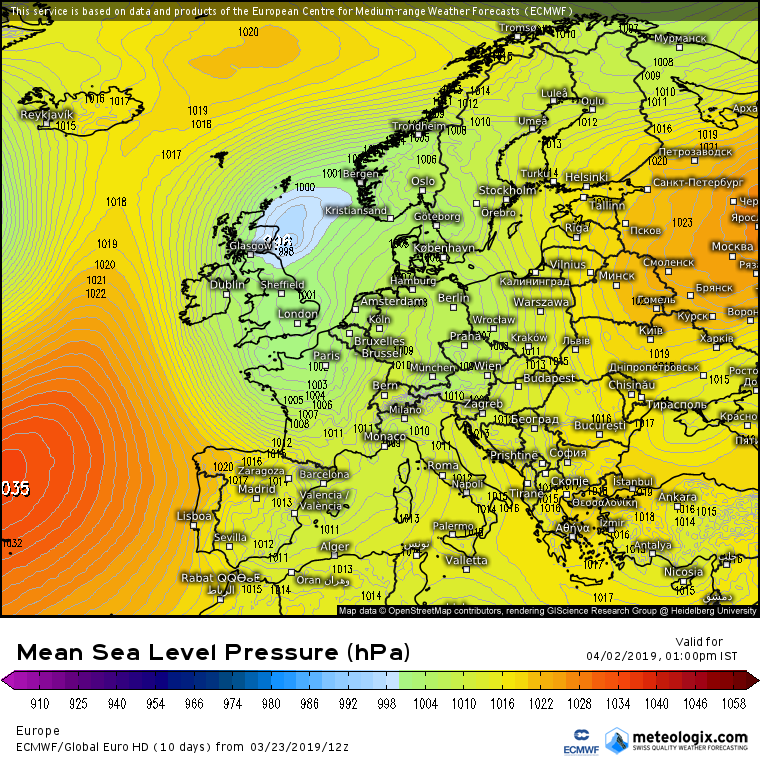 This chart would not show it as warm over the weekend but also keeping out the heaviest of the rain . Introducing cooler E'lys on the lates run. Interesting to see what wins out. 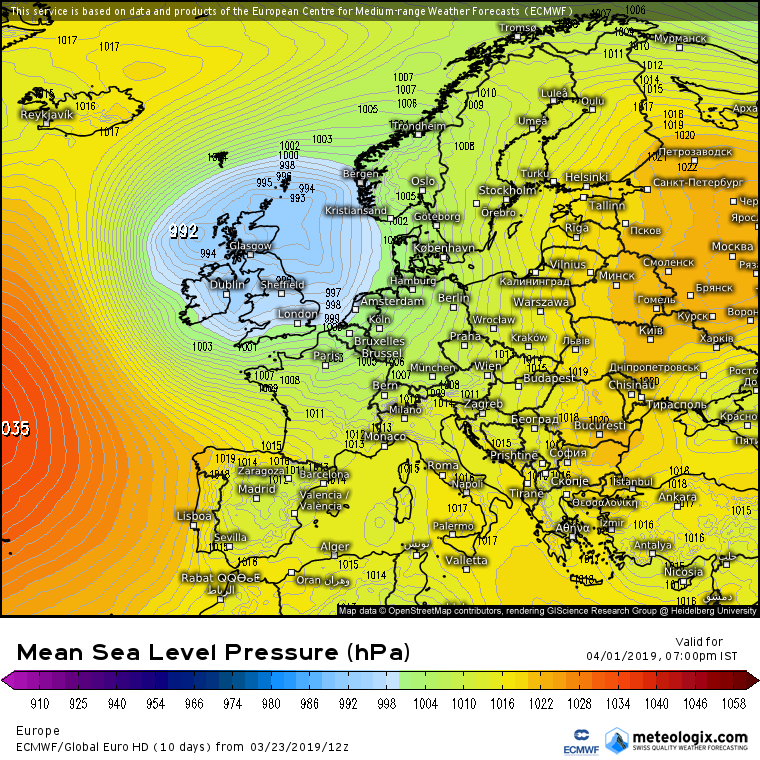 On the upside, charts like those above will soon translate into warm and dry easterlies. 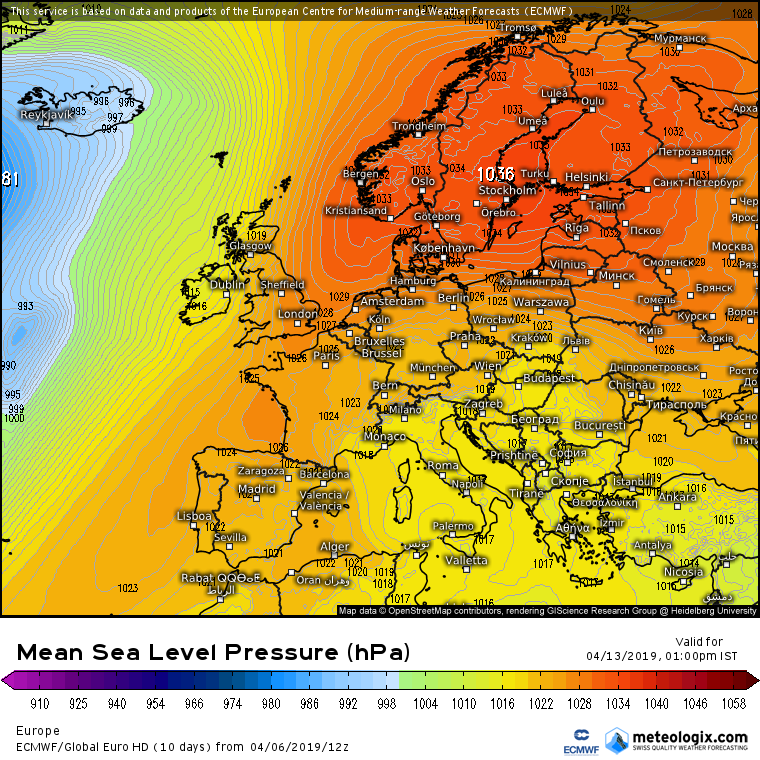 Once we get to around late April and into early May, long fetch easterlies from East Europe and Russia tend to mean very nice warm weather as the source is warming up by then combined with a long land track over the warming continental Europe. 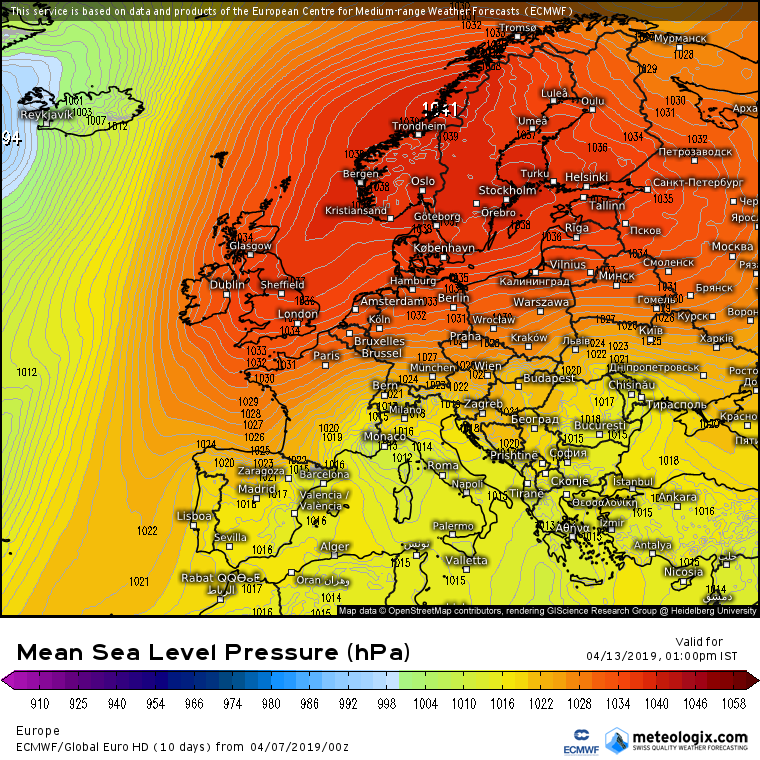 easterlies in May are rarely warm, often cool along eastern areas. 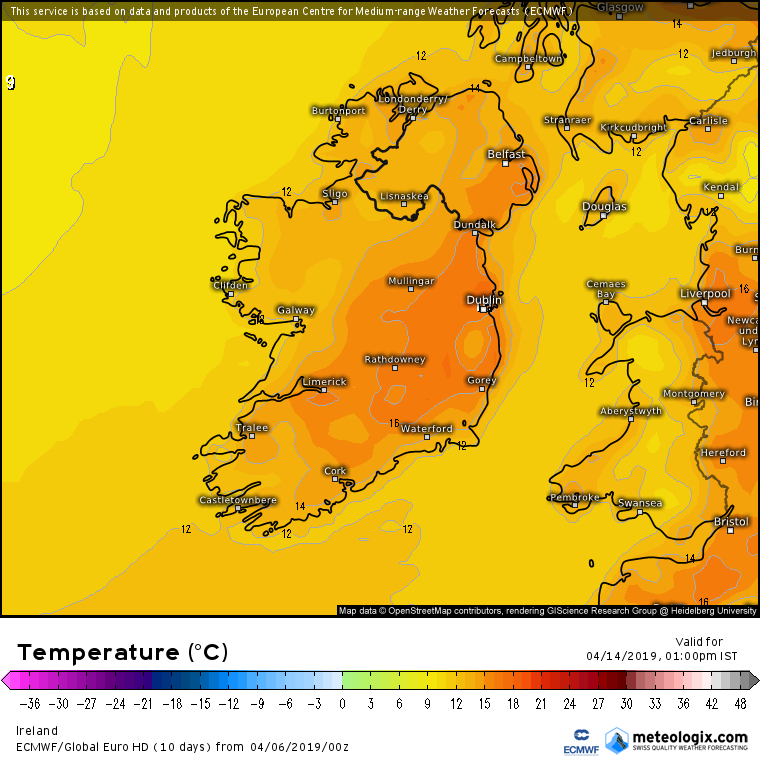 Most Mays we get this with Leinster struggling to get into double figures while the west get's close to or above 20C.